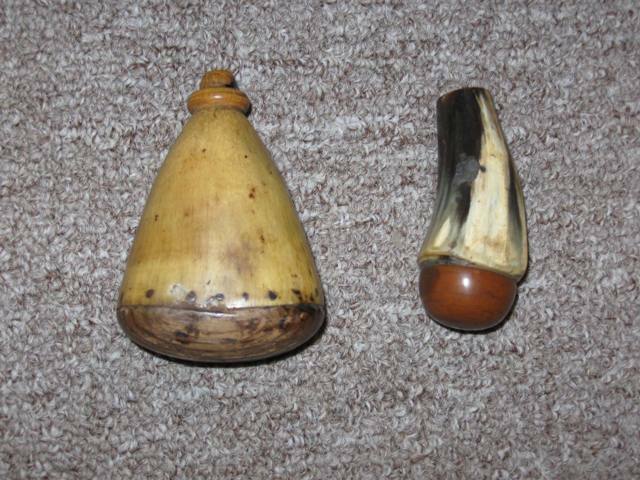 Early American priming horns from the flintlock era 1820-1840s. These are originals and rarely found. Stoppers missing, but easily made. Excellent condition with nicely-carved bottoms. Left one is 3.25″ high $99. Right one 2.75″ high $89. Prices include shipping.